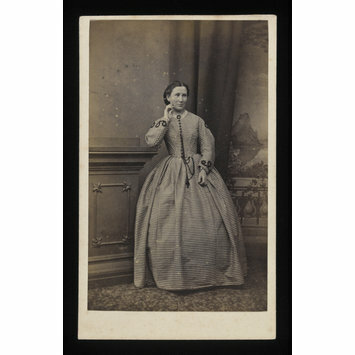 Albumen photograph mounted on card. 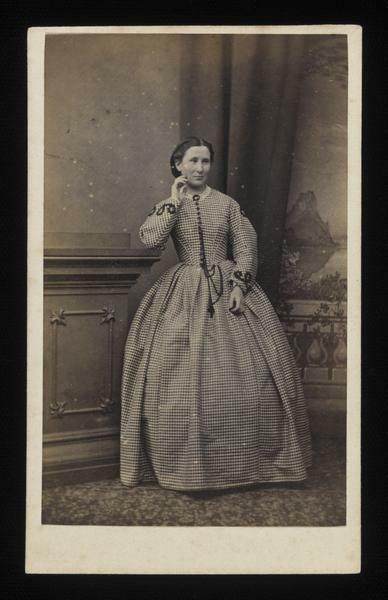 Carte-de-visite depicting a full-length portrait of a woman, standing, wearing a checked dress. ASPLET & GREEN / 18 1/2 Beresford Street, / JERSEY. 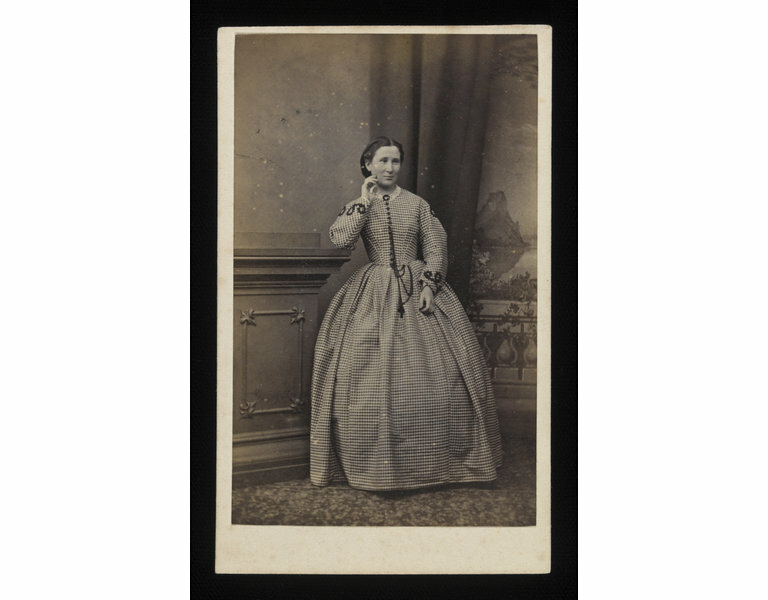 Photograph by Asplet & Green, Portrait of a Woman, albumen print, c. 1870.